Part of our Fruit in Ice collection. 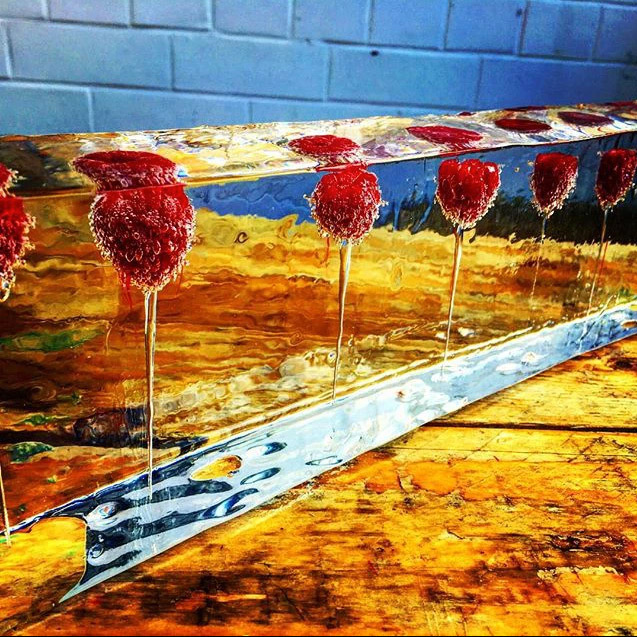 Fresh raspberries frozen in Clinebell crystal clear ice for a bespoke cocktail for Edinburgh Gin. The Fruit in Ice Collection features heavily in our repertoire with many brands using citrus in ice as part of a flavour addition to the finished cocktail.